Vulnerability scanning is part of penetration testing. A vulnerability scanner is an automated program designed to look for weaknesses in computer systems, networks, and applications. There are many vulnerability scanners available for penetration Testing. 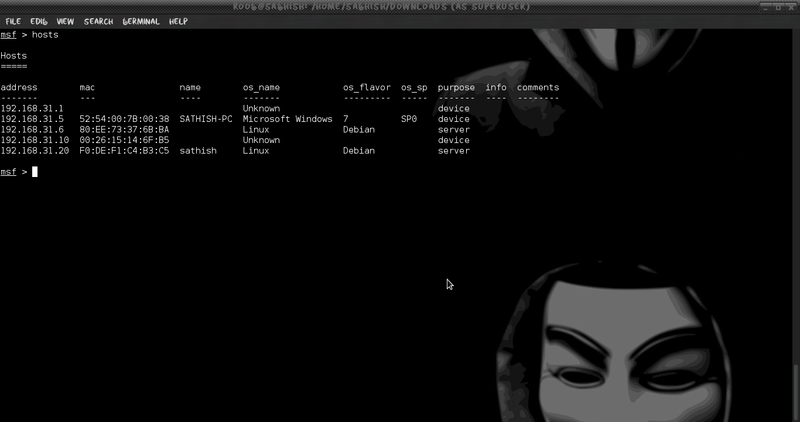 But here we use Metasploit framework for scanning vulnerability. Various operating systems respond differently because of the different networking implementations in use. These unique responses that vulnerability scanner uses to determine the operating system version and even its patch level. A vulnerability scanner can also use a given set of user credentials to log into the remote system and enumerate the software and services to determine whether they are patched. The scanner presents a report outlining any vulnerability detected on the system. That report can be useful for both network administrators and penetration testers. For Installing Nessus follow my previous post of installing nessus. Nessus is the vulnerability management solution to analyze vulnerabilities, controls, and configurations to find who, what, and where of IT security risk. 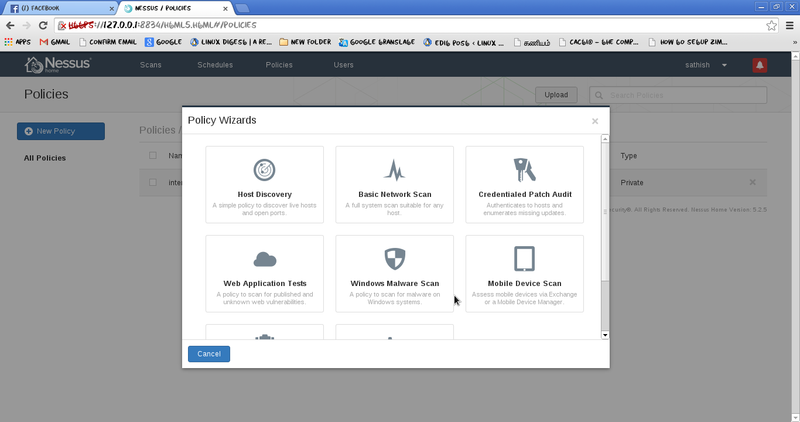 Tenable Network Security offers multiple versions of Nessus. 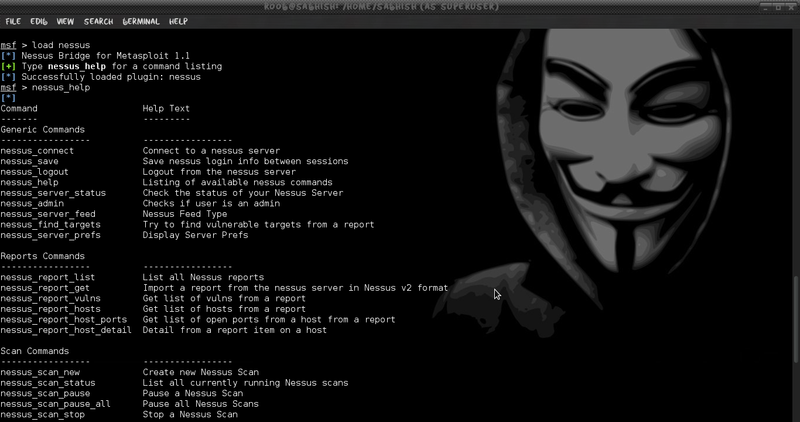 Metasploit’s Nessus plug-in lets you launch scans and pull information from Nessus scans via console. Accept the certificate warning, and log into Nessus using the credentials you created during installation. 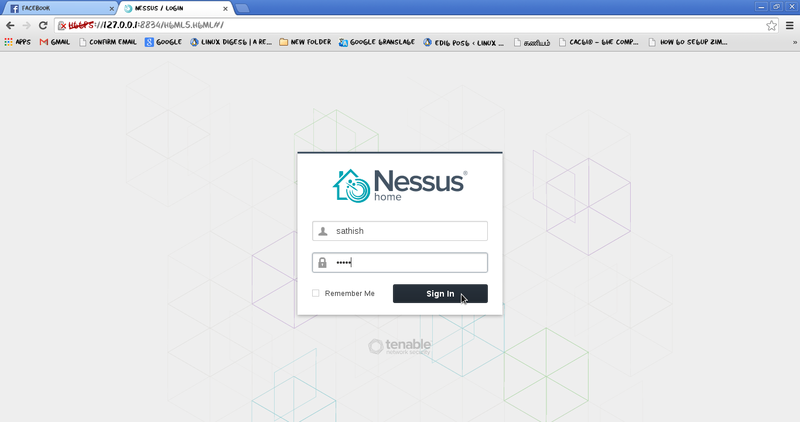 You should see the Nessus login window, as shown below. You should see the Nessus window after login, as shown below. When you are done with your selections, click Submit to save the new policy. Your newly added policy should be displayed under Policies. After you have created a scan policy, you are ready to configure a scan. In our example, we are scanning only one host, but you can also enter IP address ranges in CIDR notation or even upload a file containing the addresses of the targets you want to scan. When you are satisfied with the scan configuration, click Launch. Load msfconsole, and import the Nessus results file by entering db_import followed by the report filename. 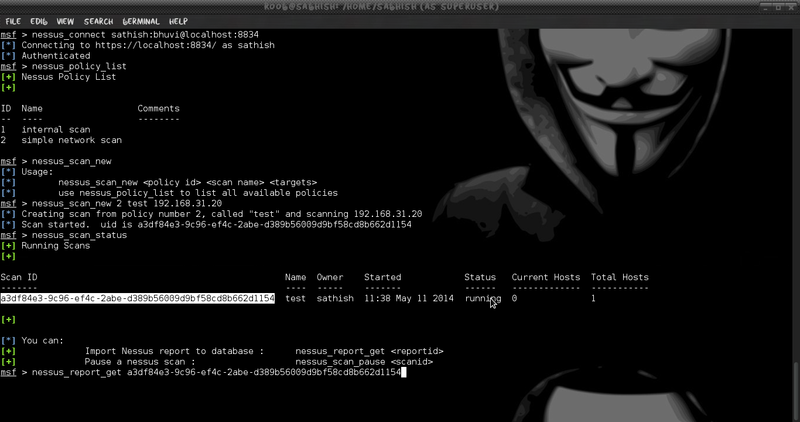 To verify that the scanned host and vulnerability data was imported properly, enter hosts as shown next. This should output a brief listing with the target IP address, the number of services detected, and the number of vulnerabilities found by Nessus. If you are lazy to work with GUI in Nessus, don’t worry you can work with metasploit by loading nessus plugin. 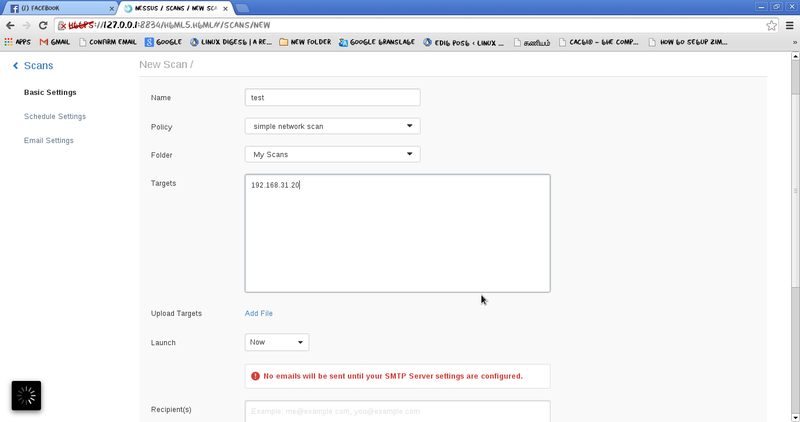 The Nessus allows you to control Nessus completely through the Metasploit Framework. Run scans, interpret results, and launch attacks based on the vulnerabilities identified through Nessus. Before starting a scan with nessus plug-in, you first need to authenticate to your Nessus server using nessus_connect command. Take policy ID to use for your scan, and then launch a new scan with nessus_scan_new followed by the policy number, a name for your scan, and your target IP address as shown below. While your scan is in progress, you can see its status by running the nessus_scan_status command. When this command’s output responds with “No Scans Running,” as shown next, you will know that your scan has completed. 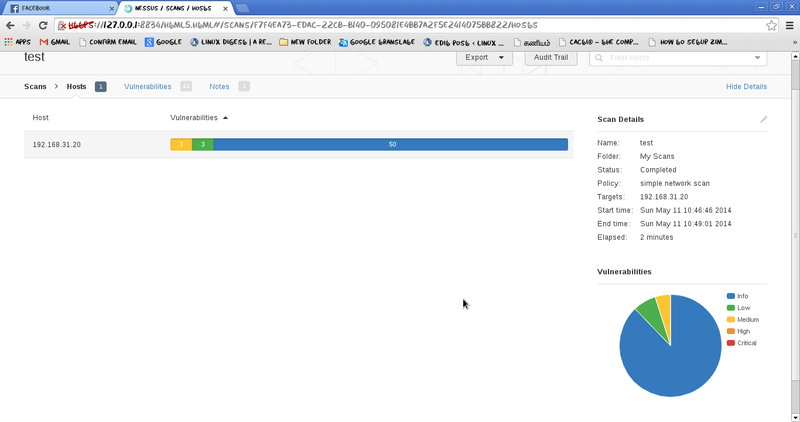 After the scan has completed, you can list the available scan reports with the nessus_report_list command. 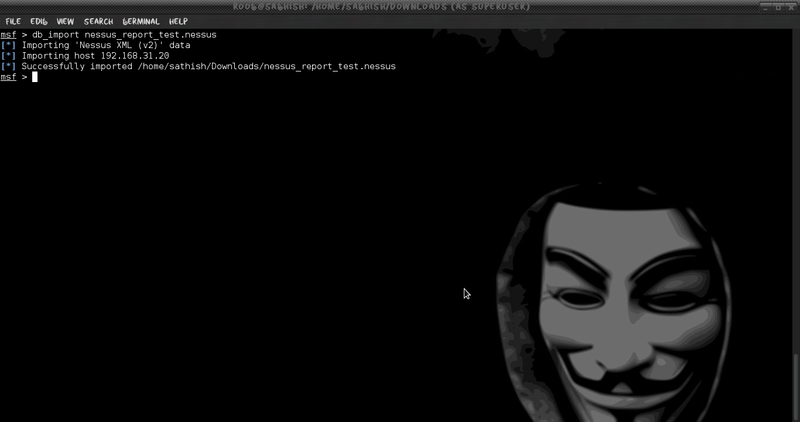 Identify the ID of the report you want to import and enter nessus_report_get to download the report and import it into the Metasploit database automatically. You can use hosts to verify that the scan data was imported successfully. We can check all vulnerabilities by typing vulns command. 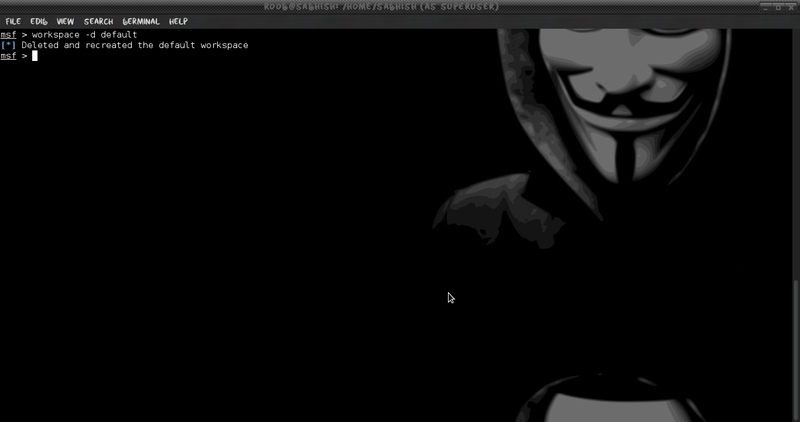 As you can see above tutorials Metasploit is power full framework for penetration tester. A vulnerability scanner is a computer program designed to assess computers, computer systems, networks or applications for weaknesses. And it’s a part of penetration testing. If you do not know target vulnerability then you cannot success most of the time during your penetration testing process.